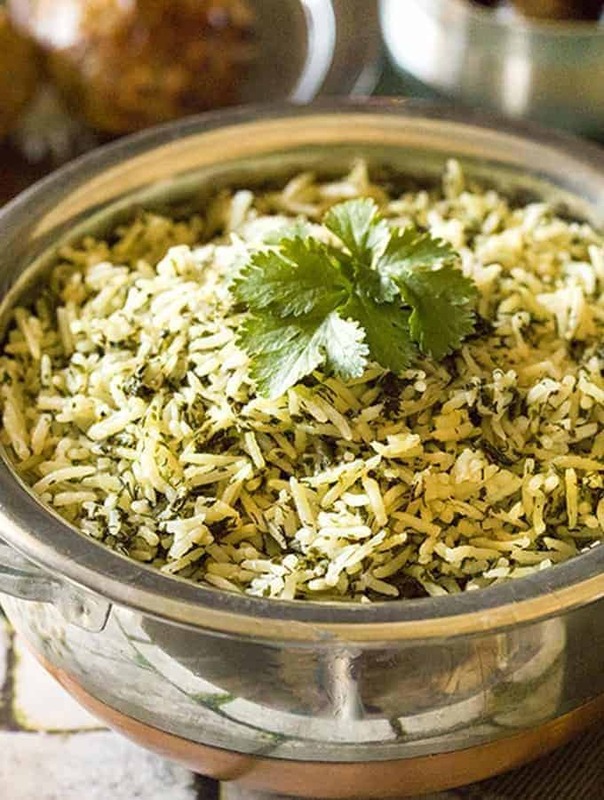 Make a perfect Persian Herbed Rice in your pressure cooker. This is a super simple, and very flavorful Instant Pot Sabzi Polo recipe that goes well with just about any meat or vegetable–although traditionally you’d have it with grilled fish. Sabz in Persian means green and is used to refer to vegetables or herbs. Polo is like saying pilaf or pilau. So Sabzi Polo is just a green, herby, delicious rice. 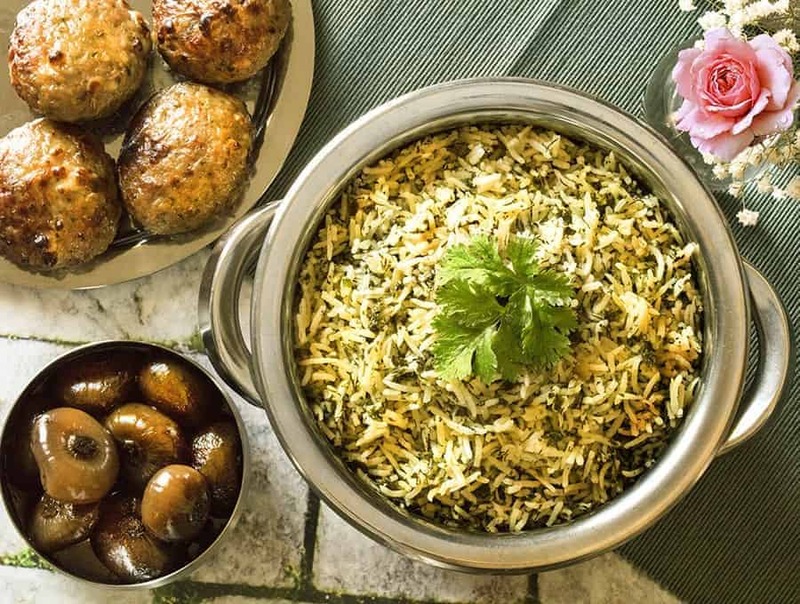 This dish is traditionally made during the Persian New Year or Nowrooz but of course no need to wait until then to make this delicious rice dish! How to make Instant Pot Sabzi Polo? Now we are, of course, going to take a few shortcuts. The first one of these shortcuts s that we are going to use dried herbs for our Instant Pot Sabzi Pollo. 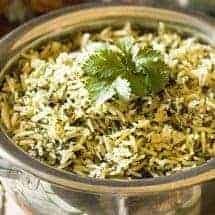 Speaking of shortcuts, I also don’t soak the herbs like many other recipes ask you to, since the Instant Pot does the soaking for you in many ways. 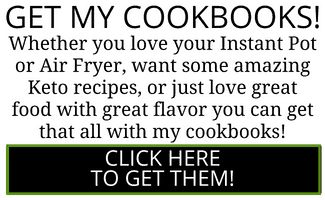 So basically just dump everything in the pot and cook. You could also make this Instant Pot Sabzi Polo with my air fryer Persian Joojeh Kabab that is an easy recipe for a very delicious chicken kababs. 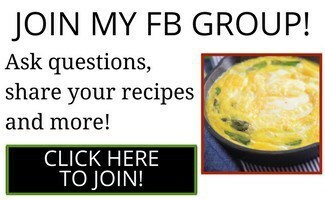 I also have a ton of different Instant Pot Rice recipes here that you might like. Make a perfect Persian Herbed Rice in your pressure cooker. This is a super simple, and very flavorful Instant Pot Sabzi Polo recipe that goes well with just about any meat or vegetable--although traditionally you'd have it with grilled fish. Place the rinsed rice in the inner liner of your Instant Pot. Add the mixed dried herbs, water, and salt and mix well. Cut up the butter into small pieces and sprinkle it over the rice. Cook the rice and herbs on high pressure for 4 minutes, and then allow the pot to sit undisturbed for 10 minutes. Release any remaining pressure, open the lid, and stir gently with a spatula, taking care to not break the rice. I’d like to make this with a whole roasted chicken, what would good complimenting flavors be to season the chicken? I have never ever eaten Persian food before, but I love to try and cook as authentically/traditionally as possible. the Polo recipe looks GREAT ! 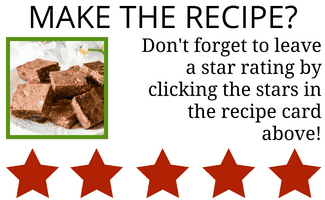 And THANK YOU for the “serving” option in the recipe!! 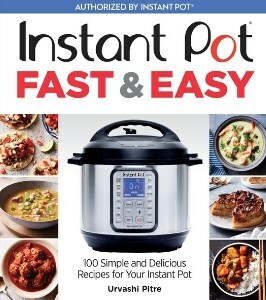 ….I hope ALL of your Instant Pot recipes have that option as I cook for only 1 or 2 people ….NICE feature ! Yes they all have the ability to scale up or down. It’s a mathematical calculation not a separately tested recipe so you may have to add a little water once in a while to achieve pressure. Enjoy! What does it mean, careful not to break the rice? probably means careful not to squish the rice or something. I made this today and it was great. The timings on it were spot on. I put in dried cilantro, dill, and parsley.